There are photos below, if the words are too much! "As far as the author is aware, the only only continuous plunging experiments using metal samples (thermocouples) quenched into different coolants carried out to date are those of Ryan et al. (1987). Ryan used a 300 mm diameter Cu/Co thermocoupleassembled so that the geometrical arrangement was equivalent to a cylindrical sample plunged with its axis perpendicular to the plunge direction. By applying equation (2.42) tp Ryan's measured cooling rates, the author has been able to derive the following empirical expressions for the average surface heat transfer coefficient in the temperature range 273-173 K"
..... the book then continues into equations and mathematical modelling. (page 116). 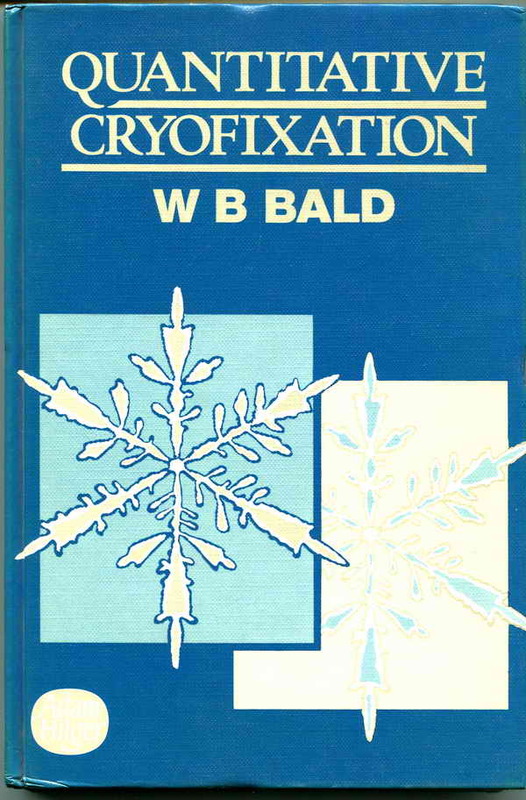 The author, Bill Bald, became a collaborator on a later paper, published in 1990, where I measured ice crystal size experimentally and he modelled i.e. predicted it. At high velocity plunging (6.7 m/sec) into ethane, I had a measured average ice crystal diameter of 54 nm and he predicted 52 nm. Considering that one nanometre is a one millionth part of a millimetre, I was impressed. We had a very successful publication. : In the garden of Familie Neumann, Kleinottweiler, near Homburg-Saar, Germany. 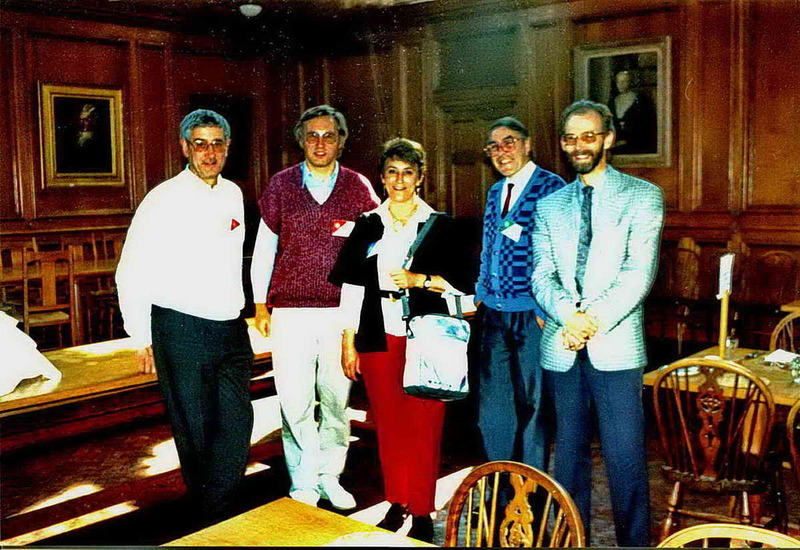 From left: Prof. Gerhard Werner, Lucy Ryan, KR, Bernadette Ryan, Ingeborg Neumann, Matthew Ryan and Isabel. - overnighting on our first family car trip to Austria. Photo: Klaus Neumann, August 1988. 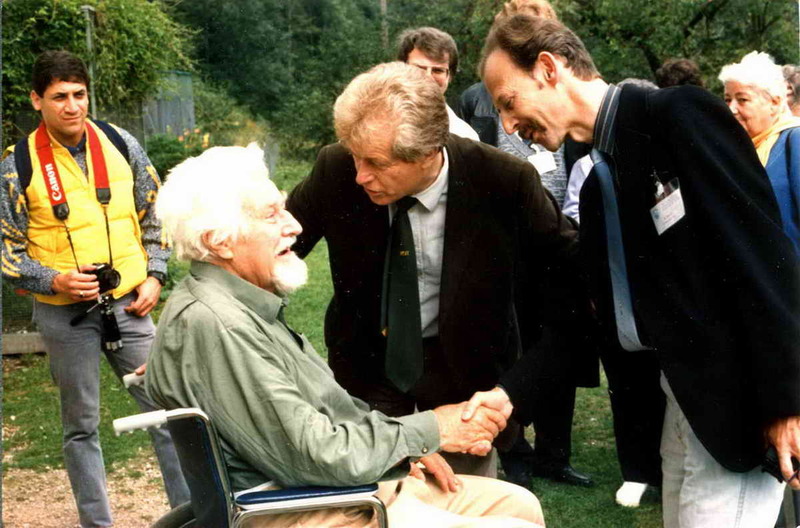 Meeting Konrad Lorenz, joint Nobel Prize winner for Physiology & Medicine in 1973 with Nikolaas Tinbergen and Karl von Fritsch after deciphering the meaning of the bee "waggle" dance. He and I spoke about Amphioxus. 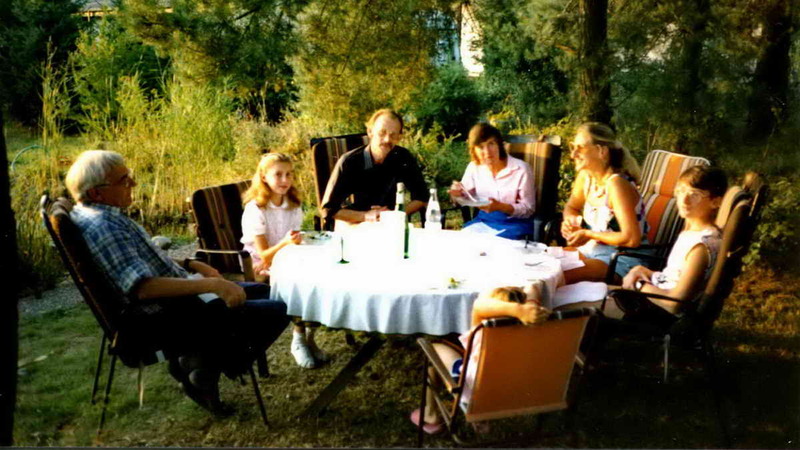 This was during a family holiday to Austria, in 1988 (by our next holiday there, in 1990, he had died, aged 85). 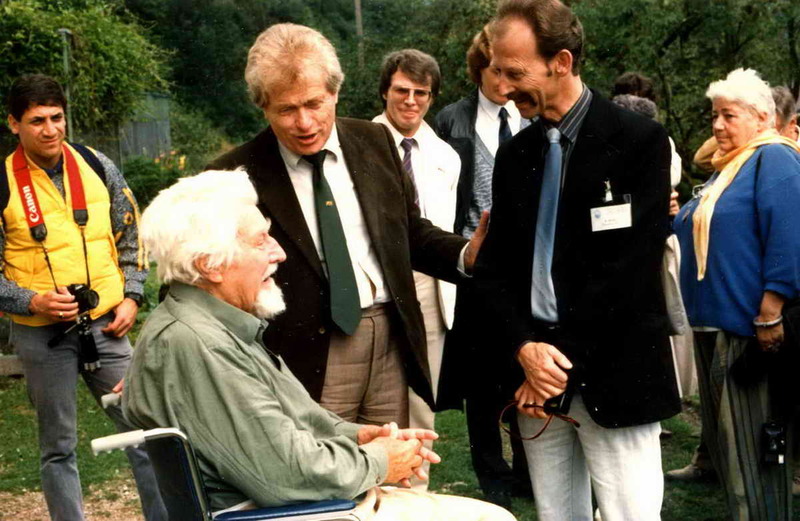 We were visiting the Konrad Lorenz Research Station at Grunau (part of the Konrad Lorenz Research Institute). The visit arranged by Prof. Hans Adam (Uni. Salzburg) and the Station Director, Kurt Kotrschal, both friends and visitors to the Marine Biological Association, Plymouth. Konrad was in failing health and using a wheelchair. During this visit we were told of studies on grey lag goose behaviour and our daughter remembered the "goose girl" for a long time after. Photo: Karin Bernatzky, our good friend and Photographer, Zoology Institute, Uni. Salzburg. 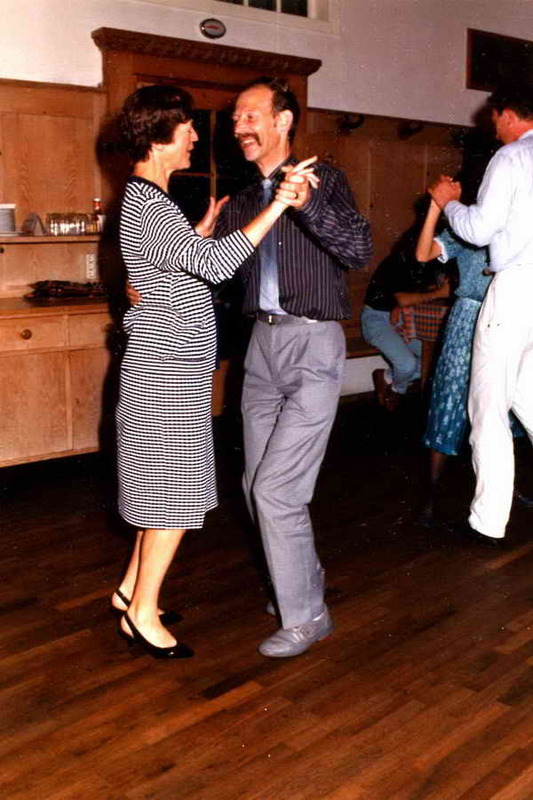 Sept. 1988, dancing with Dr. Bernadette Griffond, Lab. de Zoologie et Embryologie, Besan�on, France, at the 14th Conference of European Society of Comparative Endocrinology, University of Salzburg where I showed two scientific posters and had the adminibistrative job of taping and transcribing the lecture of Dr. Berta Scharrer on the occasion of her being awarded an Honorary Doctorate by the University of Salburg. This was an occasion when the proceedings were interspersed with playing from a string quartet, playing Mozart, of course. This was a plane trip. Dr. John Haslett (Uni. 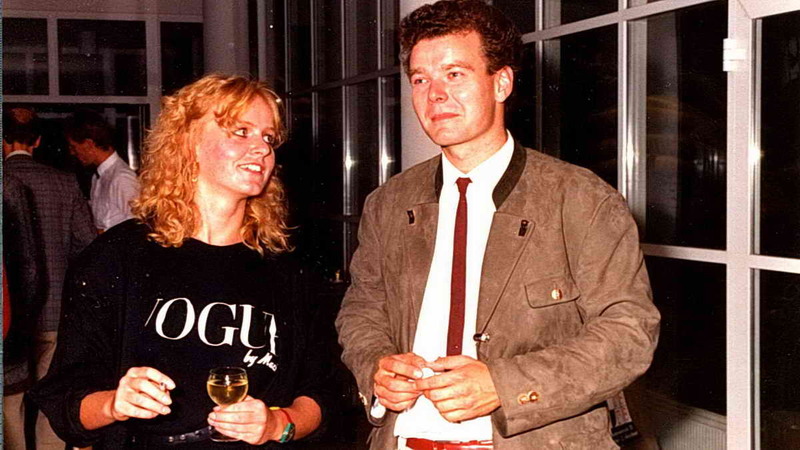 Salzburg); KR and Dr. Bernadette Griffond, at a Conference social evening. 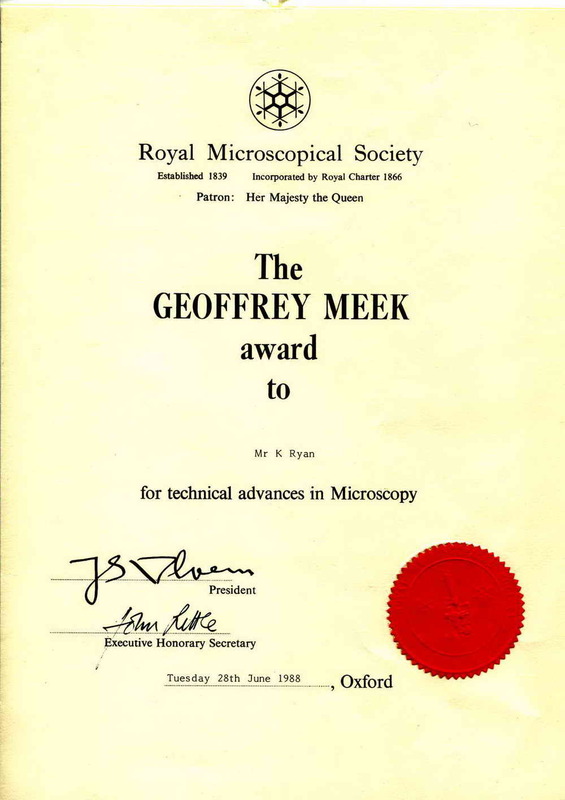 Royal Microscopical Society award for technical advances in microscopy, June 1988.
after starting my own research interest in the evenings and at weekends in 1983. 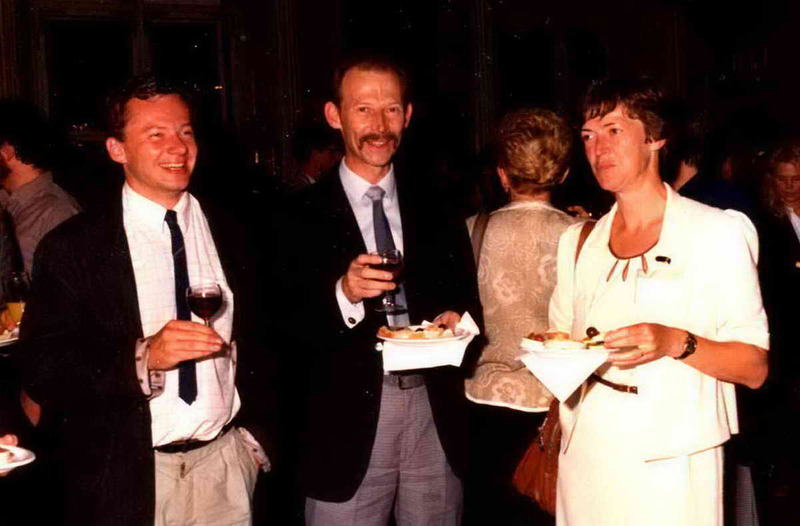 From left: Dr. Pat Echlin, Clare College, Cambridge (founded 1326), Editor (then) of the RMS Journal of Microscopy who accepted some of my papers for publication and my PhD External Examiner and active member of the Cryo Microscopy Group; Dr. Karl Zierold, Max Planck Instit�t f�r Systemphysiologie, Dortmund, Germany, a friend from several international cryo-meetings; Dr. Anna Appiano, Istituto di Fitovirologica Applicasta, Torino, Italy, a friend from Seefeld and occasional meetings; Prof. Ali Steinbrecht, Max Planck Instit�t f�r Verhaltensphysiologie, Starnerg, Seewiesen, Germany, an old friend from Cambridge, 1990; and Dr. Keith Ryan. Photo: Anna Appiano, Cambridge, 1995. 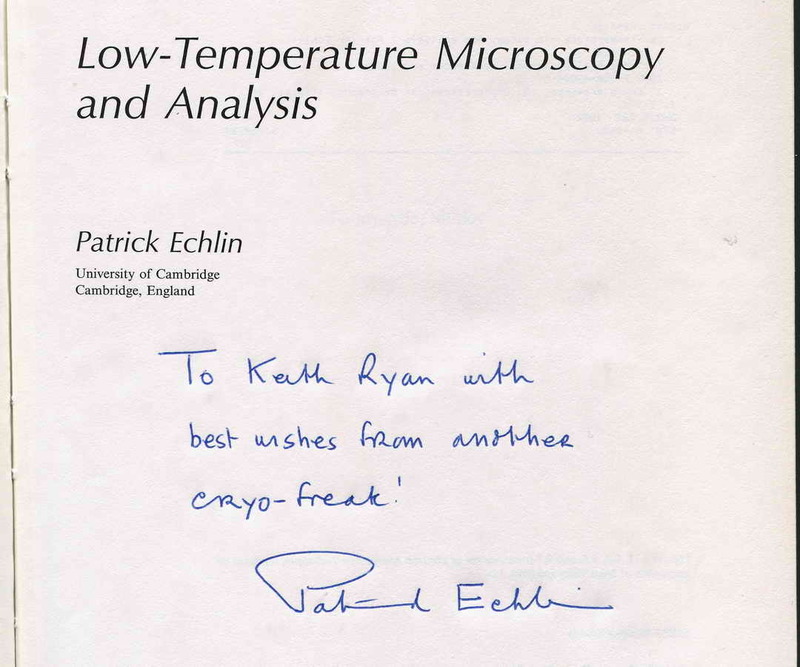 Pat Echlin's signing in my copy of the book - cryo-freak ..... that is an honour, indeed! When I was a Professor, in 1993! The contract - for 11 days! 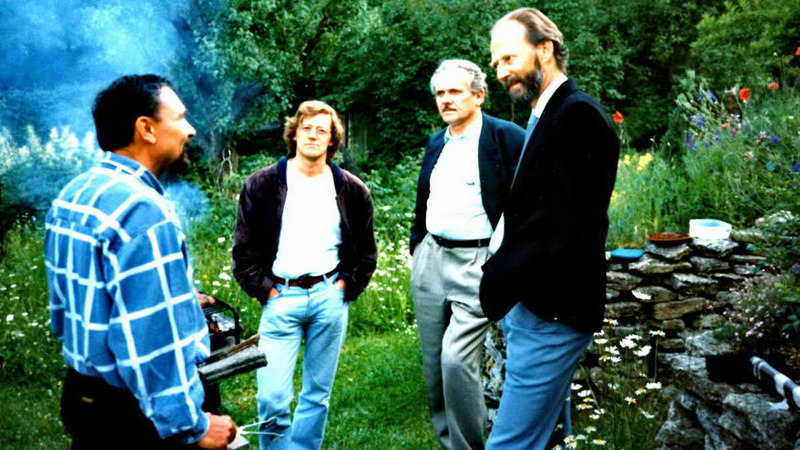 1994, June - talk at Seefeld, drive to Zurich (stay with Dr Paul Walther), drive to Salzburg (University plus the Austrian Academy of Sciences Institute of Molecular Biology), then to Jena (formerly East Germany). This photo was taken somewhere in the garden of Walter Richter. It was while here that we heard the eerie cry of a wolf! I was told it was not unknown: it was certainly different. At some point, after my presentation at the Institute for Ultrastructure Research, I was taken for a meal in a windmill, now surrounded by forest, at a table used by Napoleon before/after the Battle of Jena. 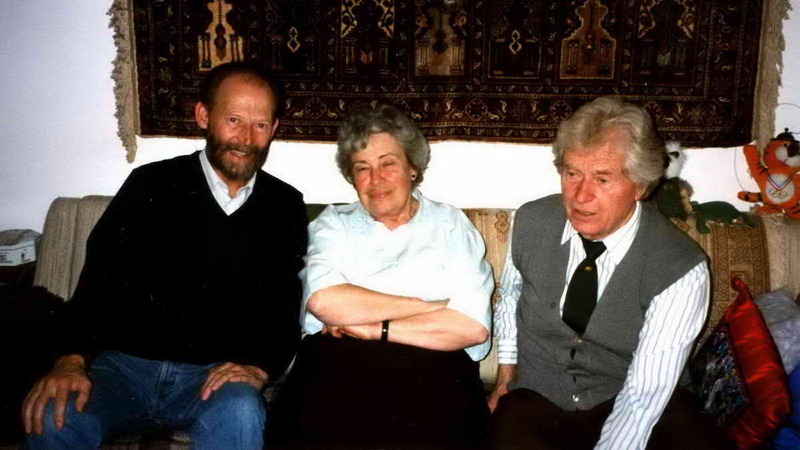 From left: Dr. Walter Richter, Dr. Konrad Semmler, Prof. Helmut Meyer and KR. 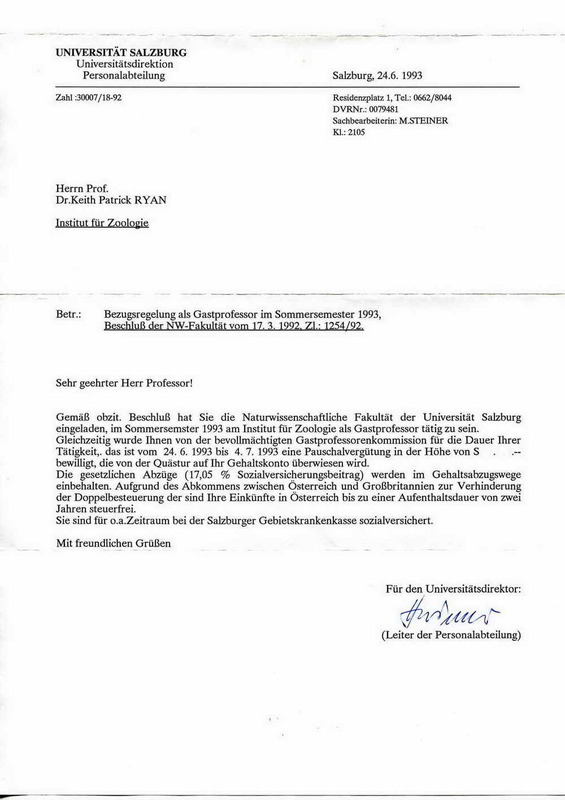 Prof. Meyer thanked me in front of the students and staff for sending reprints of my work during the former GDR days, before the reunification of Germany. The trip was arranged largely by Johannes Wunderlich, missing from this photograph, whom I met in Seefeld. 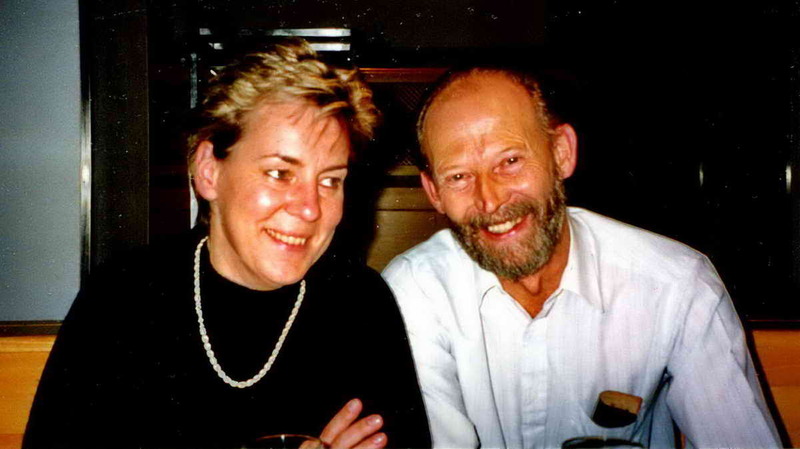 Heidi and Rudi, Institute of Zoology, Univesity of Salzburg, 1998. "Axi", Dr. Alessandra S�nger, Univ. 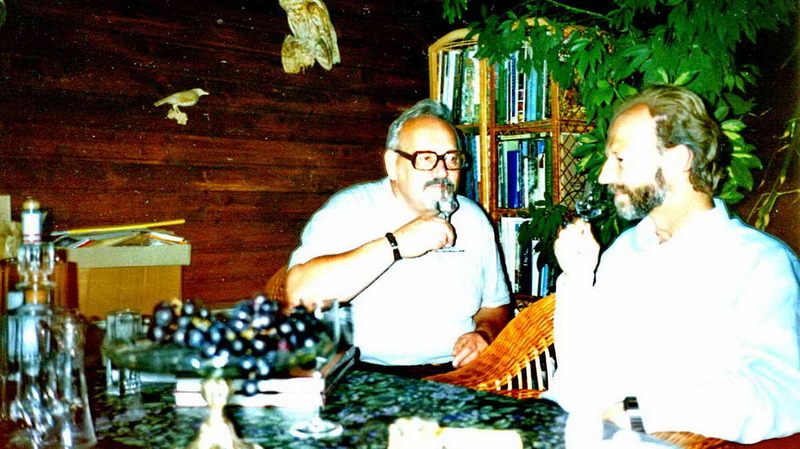 Salzburg and KR, 1998. Danger - nervously sampling one of many varieties of schnapps in the home of Axi's father. The house is an old farmhouse and they are permitted to retain old stills! 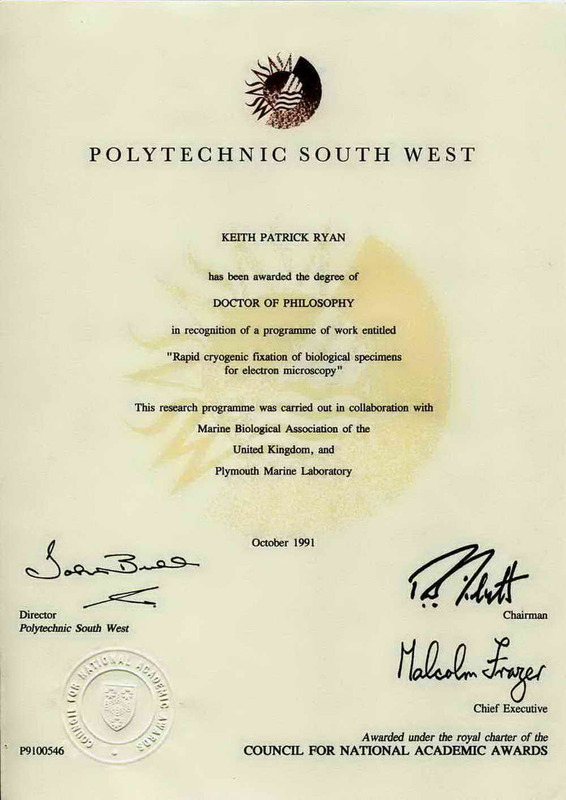 with his frequent invitations to the University of Salzburg and the Guest Professorship in 1993. I have slept a few times on their sofa in H�ttenbergstrasse. Photo: 1998. 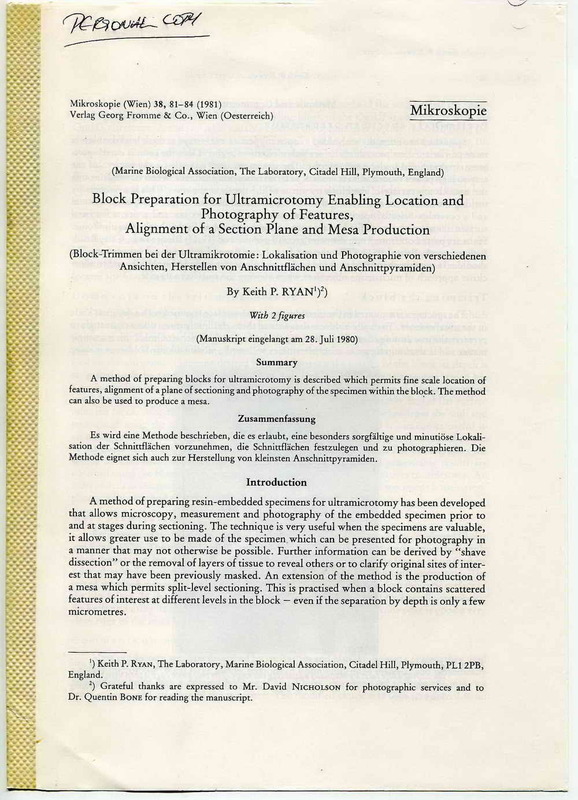 From 1981, a paper encouraged by Prof. Hans Adam while visiting the laboratory in Plymouth, in 1980. "Onkle Hans" was the Editor of "Mikroskopie", the German language microscopy journal based in Vienna, Austria, . This was the first of my 25 first author publications, out of a total of 66 incl. with other scientists. G�nther and Karin stayed with us twice in Plymouth, before they had children. Trip to Austria, April 2016. Altogether, including trips to Strasbourg (France), Eindhoeven (The Netherlands), Z�rich (Switzerland), Brussels (Belgium) and Bochum, Leipzig and Ebern (these three in Germany for target shooting), there were 27 trips by car and plane to these countries.